Create ground beef, sausage, wild game, and other high-demand, delicious foods with the Avantco MG22 #22 1 1/2 hp meat grinder! 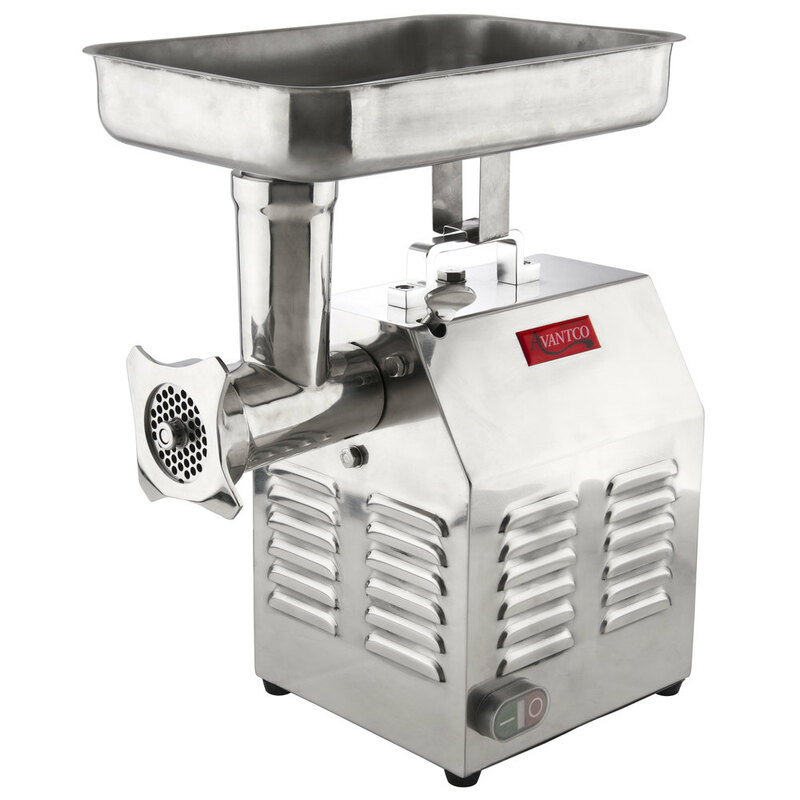 This meat grinder features a gear-driven body for outstanding processing power up to 480 lb. of meat per hour while its stainless steel exterior lets it stand up to the rigors of every-day use. 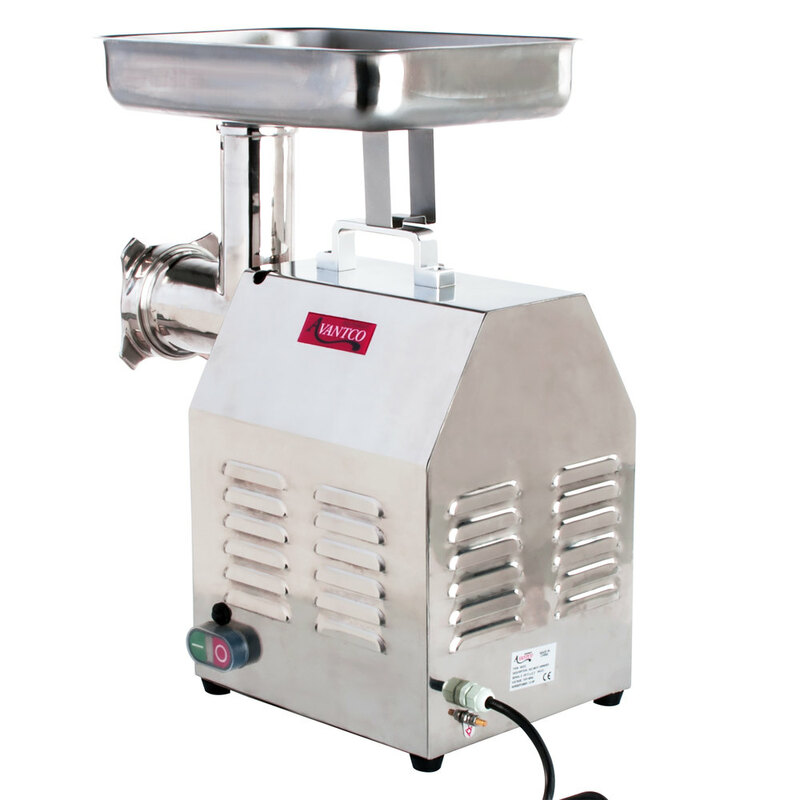 Its powerful 1 1/2 hp motor lets it automatically grind your most popular meats, and a convenient handle is attached to the top of the unit for easy transportation. 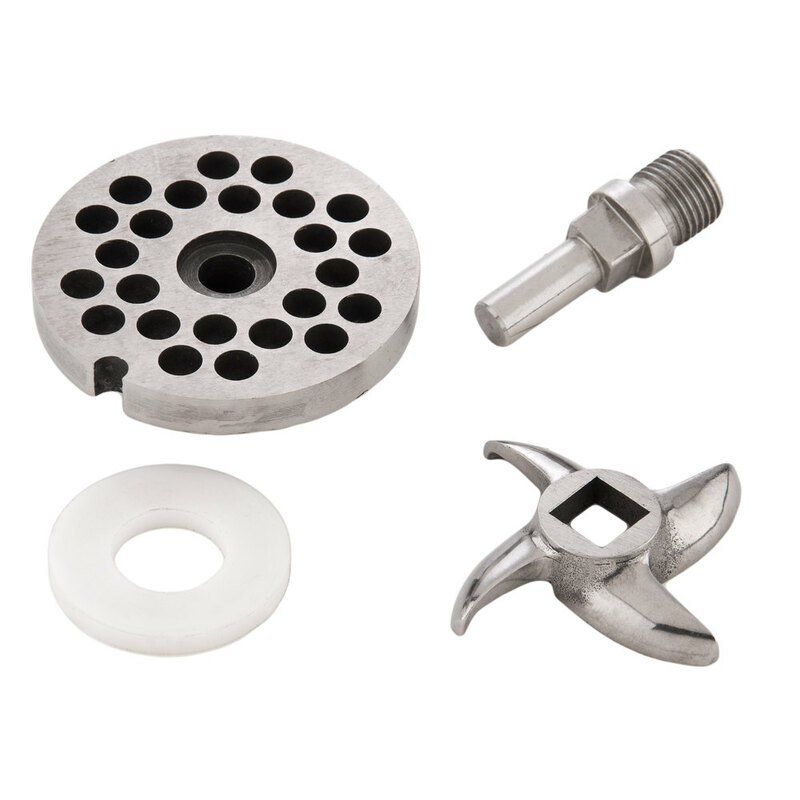 For convenience and versatility, a replacement knife, plastic pusher, metal pusher, gasket, sausage stuffer tube, stainless steel meat tray, 1/4" grinder plate, and 5/16" grinder plate are all included so you can successfully break down almost any meat you need. Built to last. Grinds big chunks of meat with no problem. Easy to disassemble to clean. No tools required to assemble or disassemble. Would definitely recommend for a table top unit. I was initially worried reading the product description that it wouldn't be tough enough to handle my kitchens volume. This is simply not the case... we are a sausage company and we grind meat every other day... this little guy can do 20-25lbs. in a few minutes. Very easy to clean, and not too loud. 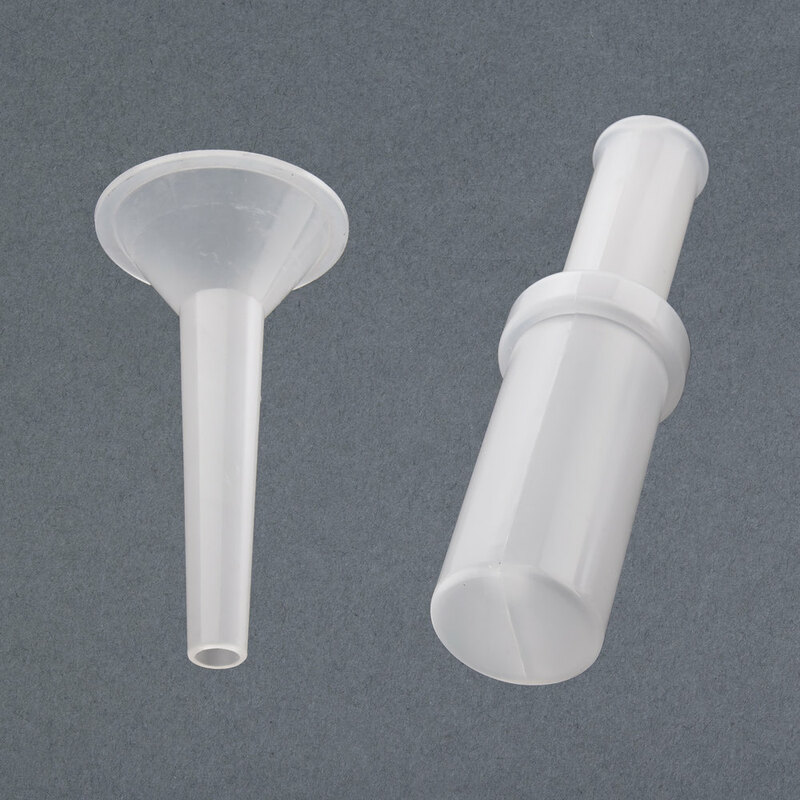 I would recommend this product to anyone who is looking for good quality and good price. This is one seriuos machine , my mom has a Hobart machine which cost over 1500 dollars , the Advantco out grinds, out stuffs , and flat out out performs the Hobart. Awesome value! We used to bring our meats with the attachment for the mixer but we never liked having raw meat near the mixer that we mainly use for dough. This little guy is powerful and heavy duty! Good grinder for the money. Send about a hundred lbs a week through it. Have been using it for about 6 months now and it's still working fine. This grinder does an excellent job. We were using a smaller grinder before and it was taking us too long to grind meats. This grinder is a work horse! Our kitchen crew loves this grinder! We are able to use so much more of our expensive meat "scrap" to make a delicious house blend for burgers & save alot of food costs. This is a gigantic money saver for me! In my restaurant, we cut our own steaks and other meats, giving us the chance to still use some of the trimmings from our tenderloins and sirloins, turning them into the best darn burgers you'll ever have! We have now been using this meat grinder for 4 months. We grind our own lamb and beef for sausages and lamb burgers. Absolutely no problems with it. Great price. We looked at used ones and decided not to go that route and I am glad we purchased this. A beast! I use mine daily and it has never disappointed me! Assembly is easy, it is however heavier than it appears. I keep my grinder attachments in the freezer when not in use so when i do grind the meat stays colder and reduces bacteria growth. 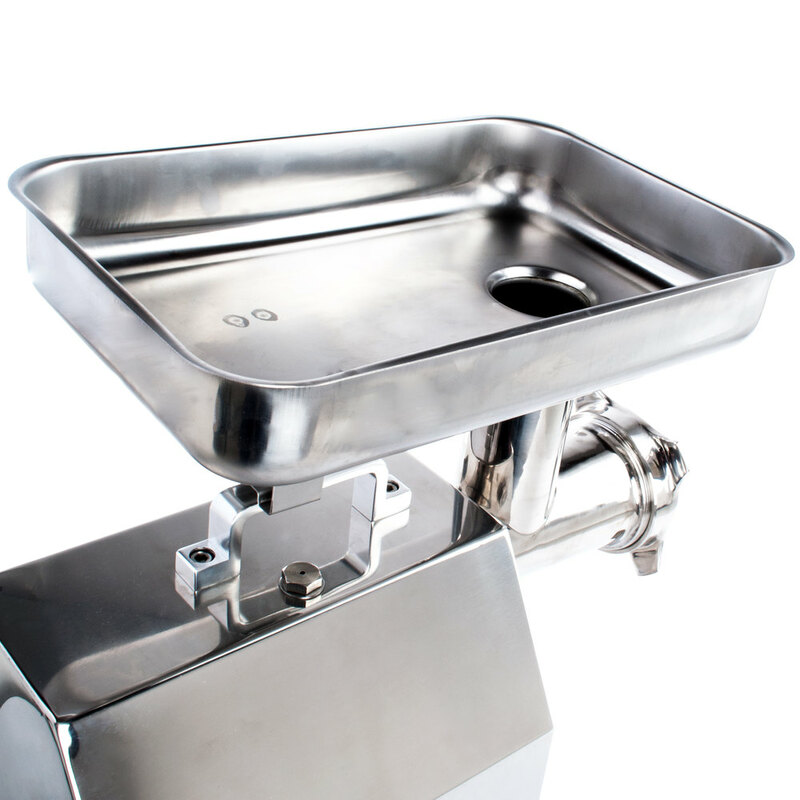 This is a nice grinder for housemade sausages, mousses and pates. Easy to grind meats with spices and herbs for a perfect blend. Great to grind vegetables too. This is a great meat grinder! I love making fresh sausage from scraps of meat! Perfect for grinding fruit and vegetables as well! Amazing quality! !